Flying. 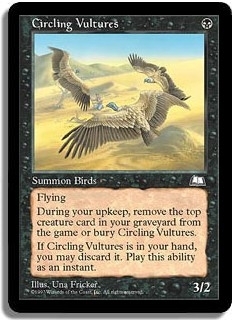 During your upkeep, remove the top creature card in your graveyard from the game or bury Circling Vultures. If Circling Vultures is in your hand, you may discard it. Play this ability as an instant.